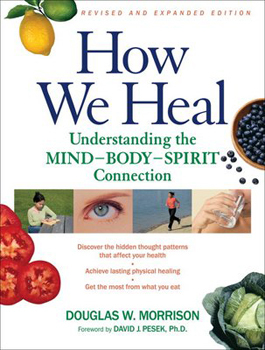 Unlike health books that cover only nutrition and lifestyle factors, or books that deal with consciousness, spirituality, personal growth, and metaphysical considerations outside the realm of the physical, How We Heal addresses healing in the broadest conceivable context. It presents this whole range of topics in a coherent, comprehensive manner that introduces the novice reader to Body Electronics, iridology, sclerology, and other alternative health modalities. Tha author Douglas Morrison explores the physical factors - sleep, water, exercise, and detrimental influences such as amalgam dental fillings, root canals, fluoride, electromagnetic fields, vaccinations, drugs - that influence health and explains why it's necessary to integrate them with the hidden patterns of thought, word, and emotion that make healing possible. Through the use of analogies and practical examples, the book helps readers embrace this new way of seeing their own reality. Diagrams and illustrations throughout help further illuminate these potentially life-changing concepts.